A local family run estate agency based in Wellington announced the appointment of two new apprentices to expand the sales and lettings team. Coleman Estates’ for sale and to let boards have been a familiar sight around Telford where the family business has been operating successfully for 15 years. Max Coleman returned from an estate agency in London to the business to take over the reins from Gill and Jeff Coleman. As part of their expansion plans, Max Coleman announced that two new apprentices were joining the firm. “The apprenticeship program gives us a great opportunity to help young people get a chance to show what they are capable of and to learn from the ground up how the property industry works. As they are understandably new to the profession, they will have a full year’s training in all aspects of Coleman Estates’ operations familiarising them with all of our processes and procedures.” Said Mr Coleman. Bethany Oliver left New College in September and successfully applied for the posts via Matrix Training, another Telford firm. Ms Oliver said “When I saw a vacancy had opened at Coleman Estates, I immediately applied and was delighted when I got the position. They’re a well respected company and I’m really looking forward to starting a career in property. Daniel Edwards was already working one job at a local supermarket but when the opportunity to join Coleman Estates at the ground level presented itself, he applied immediately despite already working over 30 hours a week at his current post. ‘I work hard at my current job already but I couldn’t pass up the opportunity to get a foot in the door in an industry I’ve always had a strong interest in’ said Mr Edwards. 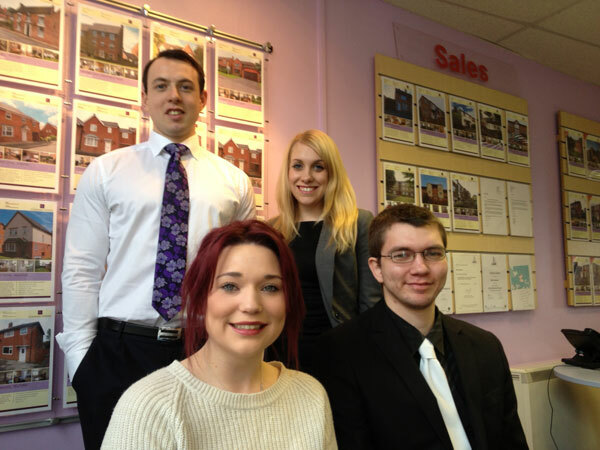 See the properties Beth and Dan are helping to market on the Telford Estate Agents site.